Aleene’s Permanent Fabric Glue 4 oz. 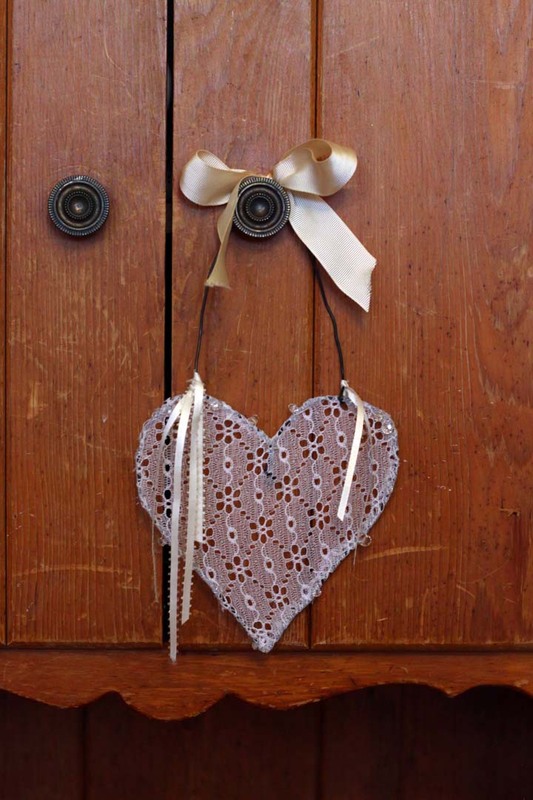 To begin, form whatever sized heart you want to make from your wire. 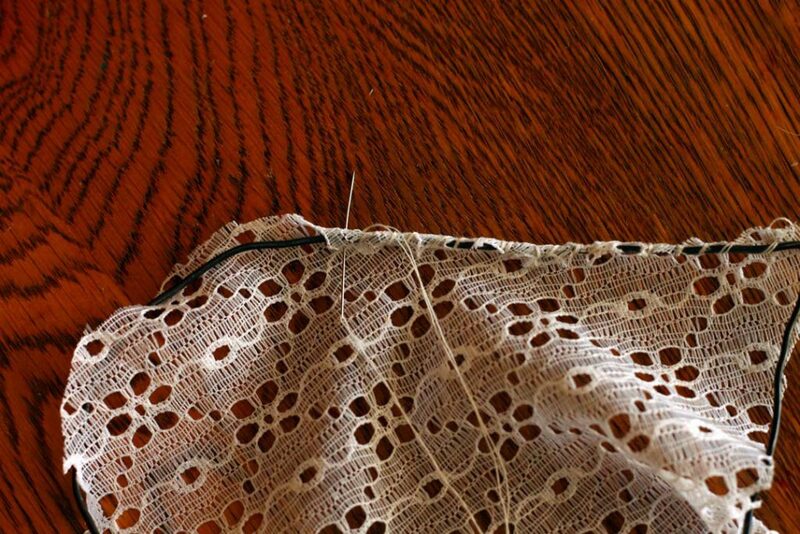 Twist the ends around each other secure. 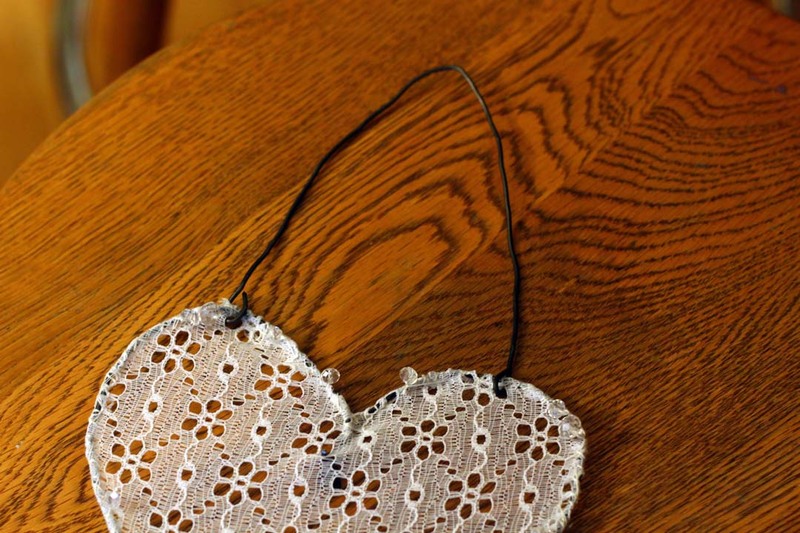 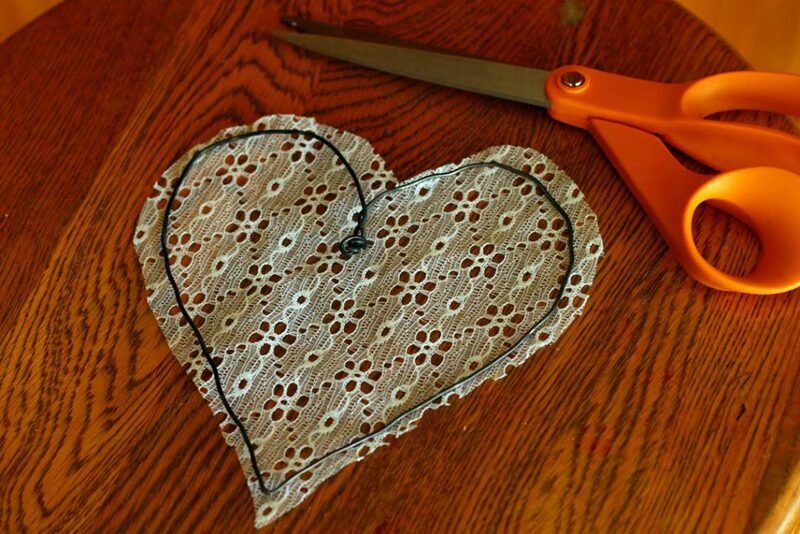 Place the wire heart on top of your lace fabric, and cut around the heart, leaving about 1/4-inch extra fabric around the edge. 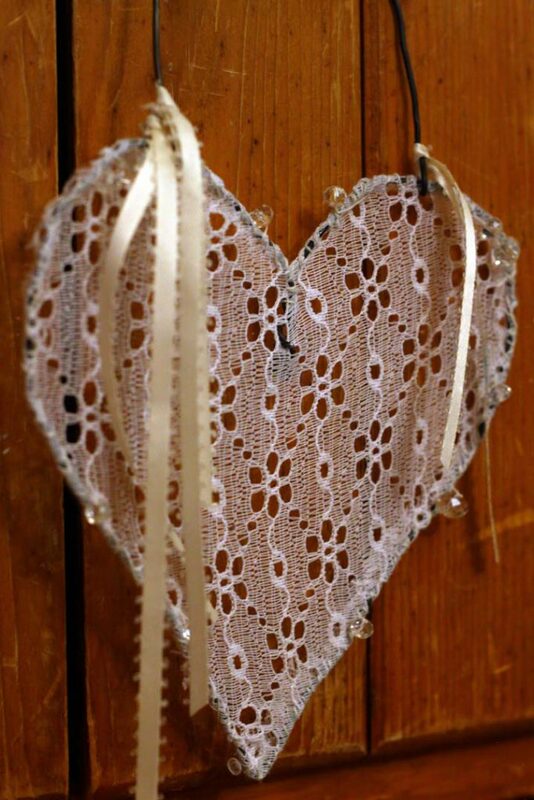 Using your needle and thread, fold the extra fabric around the edge of the wire heart, and whip stitch the lace to the wire all the way around. 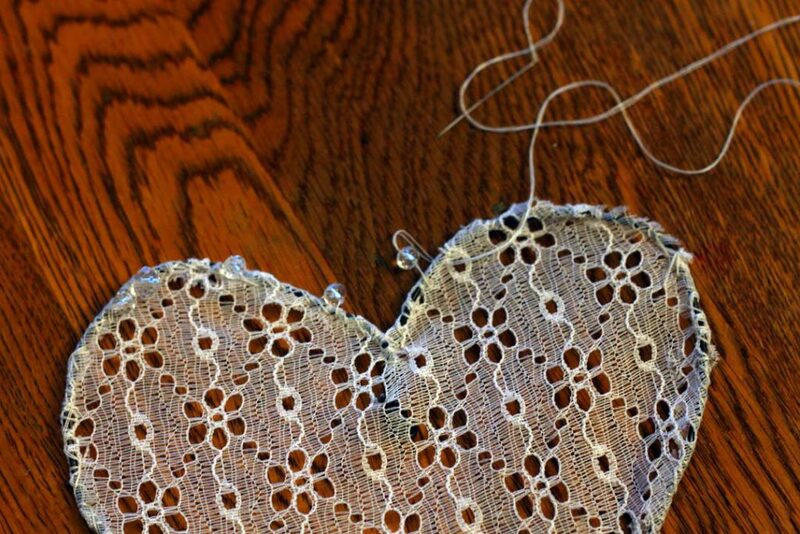 Pull the fabric gently as you go to pull it taut across the wire heart frame. 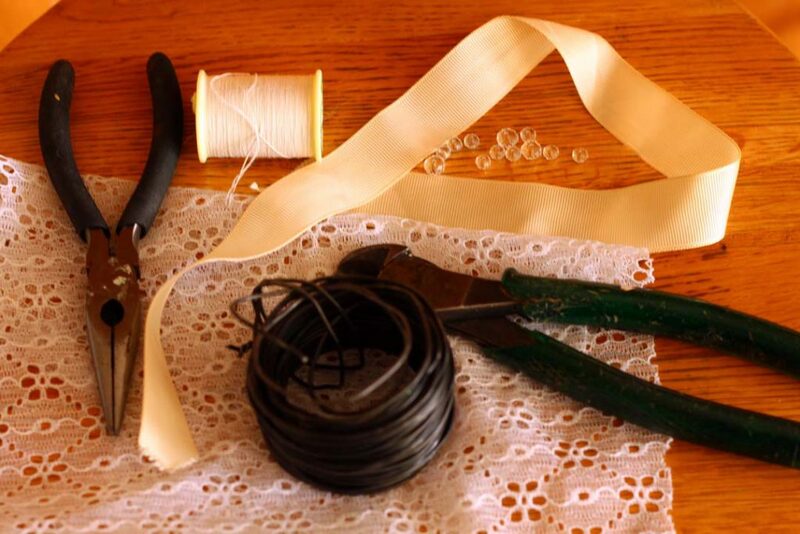 To embellish, sew beads onto the edge, or use fabric glue to adhere crystals. 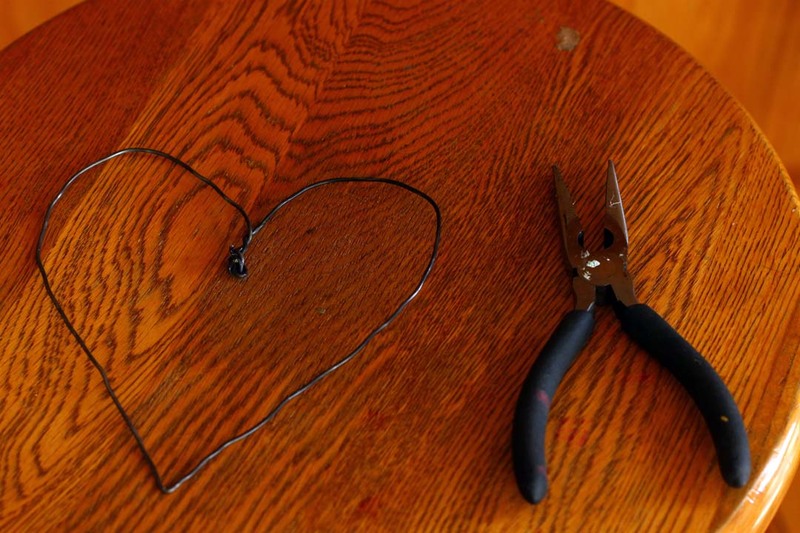 Cut another piece of wire, and bend into a “u” shape. Bend the ends under, and hook onto the top bumps of the heart, through the lace, to form the hanger. 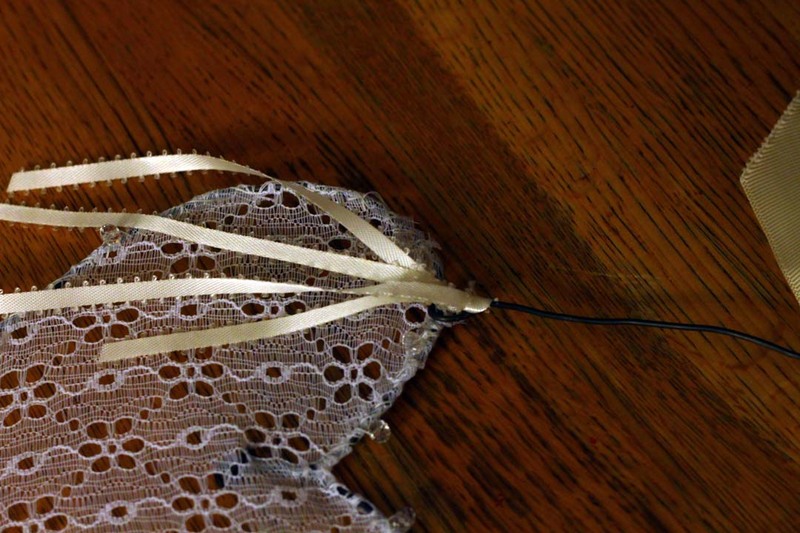 Use the wider lace to tie a bow onto the top of the hanger. 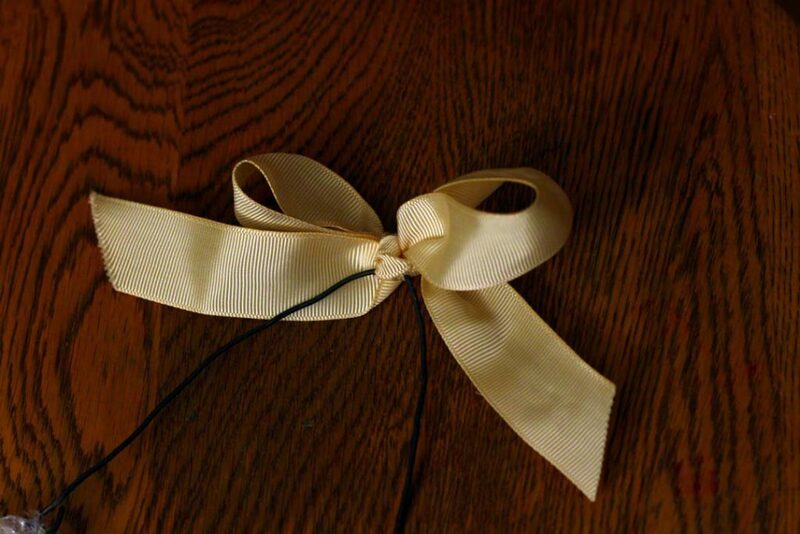 Cut small lengths of the thinner ribbon, and tie to the bottom of each side of the hanger. Hang your heart on a door knob, cabinet knob, or hang on the wall to make your Valentine’s Day even sweeter.